Muscle inflammation can be caused by repetitive strain, lack of muscle activity, or a direct muscle injury. When muscles are stressed or injured, they often form tender“trigger points” that feel like dense tight knots in the muscle tissue. What does a trigger point feel like? 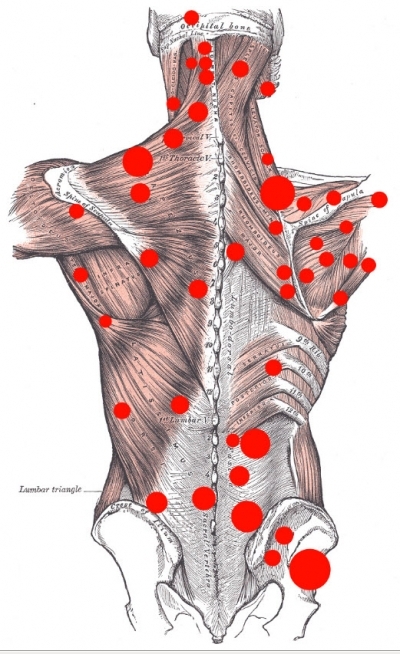 Trigger points feel like little marbles or knots just under your skin. 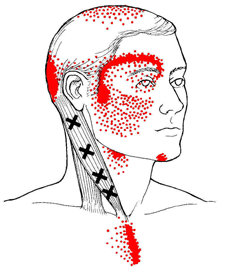 When pressing on trigger points, many people feel no pain or discomfort. Sometimes, trigger points become very sensitive, and some people feel significant pain in areas where they have trigger points. Will trigger points ever go away? And untreated trigger points can last forever. No one really knows why a trigger point would ever go away, or why it would stop once its started. Fortunately, they often do go away. … While the injury heals, trigger point pain overstays its welcome. Does everyone have trigger points? 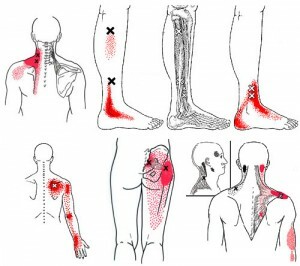 Trigger points can cause pain directly. 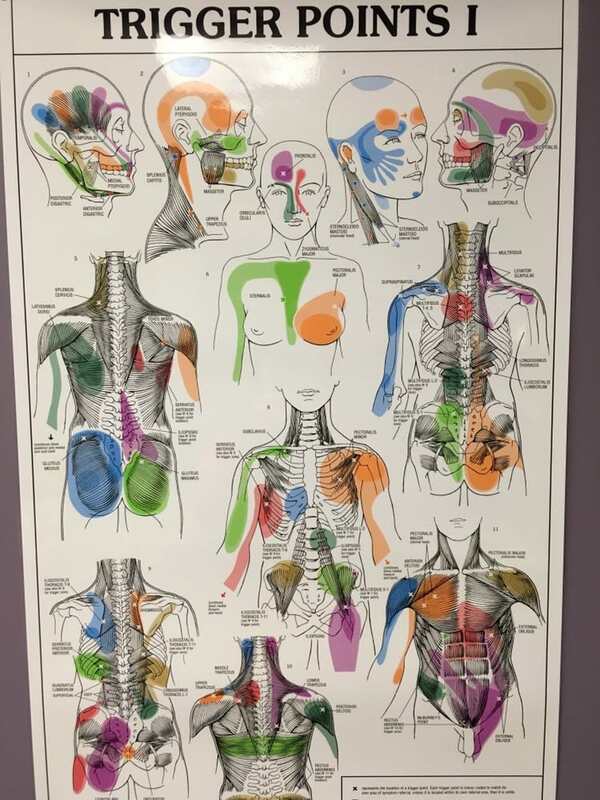 Trigger points are a “natural” part of muscle tissue.15 Just as almost everyone gets some pimples, sooner or later almosteveryone gets muscle knots — and you get pain with no other explanation or issue. 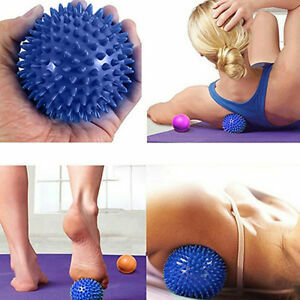 … Trigger points complicate injuries and other painful problems. Trigger points are discrete, focal, hyperirritable spots located in a taut band of skeletal muscle. They produce pain locally and in a referred pattern and often accompany chronic musculoskeletal disorders. 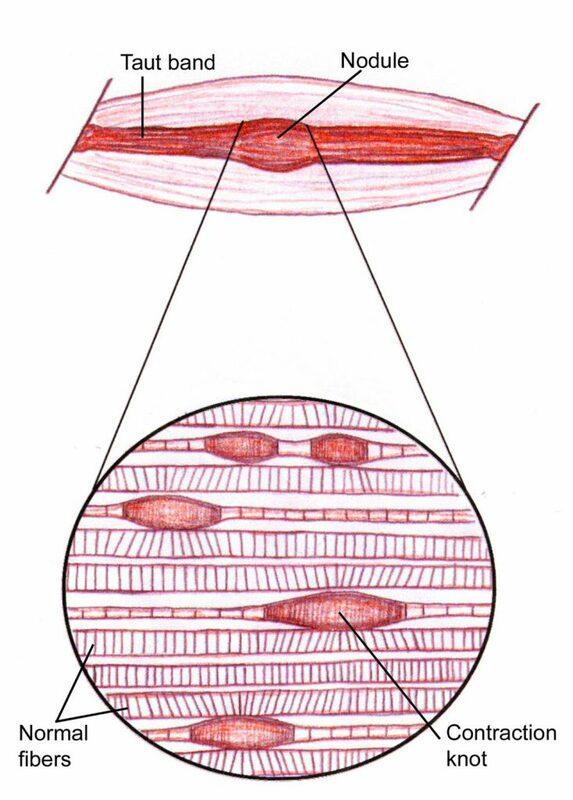 Acute trauma or repetitive microtrauma may lead to the development of stress on muscle fibers and the formation of trigger points. Patients may have regional, persistent pain resulting in a decreased range of motion in the affected muscles. These include muscles used to maintain body posture, such as those in the neck, shoulders, and pelvic girdle. Trigger points may also manifest as a tension headache, tinnitus, temporomandibular joint pain, decreased the range of motion in the legs, and low back pain. Palpation of a hypersensitive bundle or nodule of muscle fiber of harder than normal consistency is the physical finding typically associated with a trigger point. Palpation of the trigger point will elicit pain directly over the affected area and/or cause radiation of pain toward a zone of reference and a local twitch response. Various modalities, such as the Spray and Stretch technique, ultrasonography, manipulative therapy, and injection, are used to inactivate trigger points. 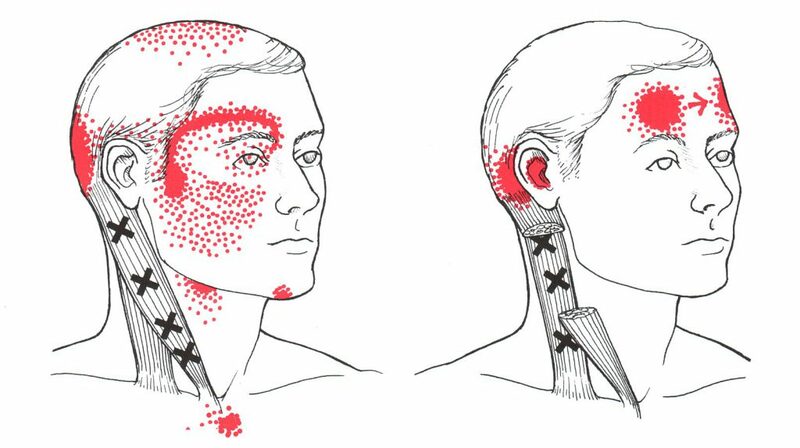 Trigger-point injection has been shown to be one of the most effective treatment modalities to inactivate trigger points and provide prompt relief of symptoms. About 23 million persons, or 10 percent of the U.S. population, have one or more chronic disorders of the musculoskeletal system. Musculoskeletal disorders are the main cause of disability in the working-age population and are among the leading causes of disability in other age groups. 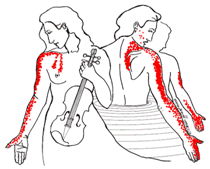 Myofascial pain syndrome is a common painful muscle disorder caused by myofascial trigger points. This must be differentiated from fibromyalgia syndrome, which involves multiple tender spots or tender points.3 These pain syndromes are often concomitant and may interact with one another. Trigger points are classified as being active or latent, depending on their clinical characteristics. 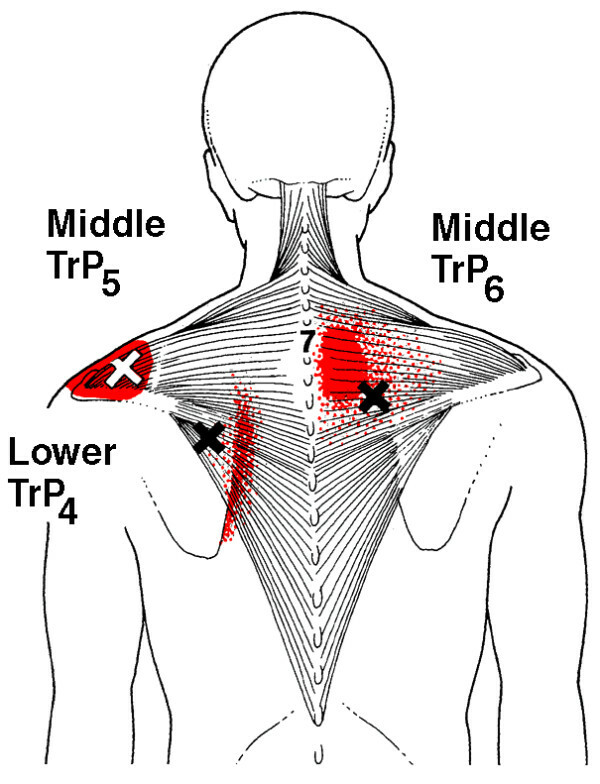 An active trigger point causes pain at rest. It is tender to palpation with a referred pain pattern that is similar to the patient’s pain complaint. This referred pain is felt not at the site of the trigger-point origin, but remote from it. The pain is often described as spreading or radiating. Referred pain is an important characteristic of a trigger point. It differentiates a trigger point from a tender point, which is associated with pain at the site of palpation only. Moreover, when firm pressure is applied over the trigger point in a snapping fashion perpendicular to the muscle, a “local twitch response” is often elicited. Palpation of a hypersensitive bundle or nodule of muscle fiber of harder than normal consistency is the physical finding most often associated with a trigger point.1 Localization of a trigger point is based on the physician’s sense of feel, assisted by patient expressions of pain and by visual and palpable observations of local twitch response. This palpation will elicit pain over the palpated muscle and/or cause radiation of pain toward the zone of reference in addition to a twitch response. 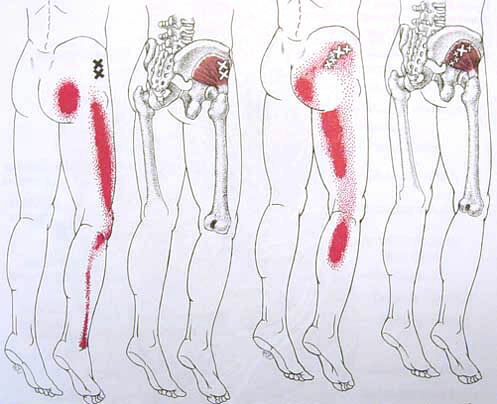 The commonly encountered locations of trigger points and their pain reference zones are consistent. A local twitch response is defined as a transient visible or palpable contraction or dimpling of the muscle and skin as the tense muscle fibers (taut band) of the trigger point contract when pressure is applied. This response is elicited by a sudden change of pressure on the trigger point by needle penetration into the trigger point or by transverse snapping palpation of the trigger point across the direction of the taut band of muscle fibers. Thus, a classic trigger point is defined as the presence of discrete focal tenderness located in a palpable taut band of skeletal muscle, which produces both referred regional pain (zone of reference) and a local twitch response. 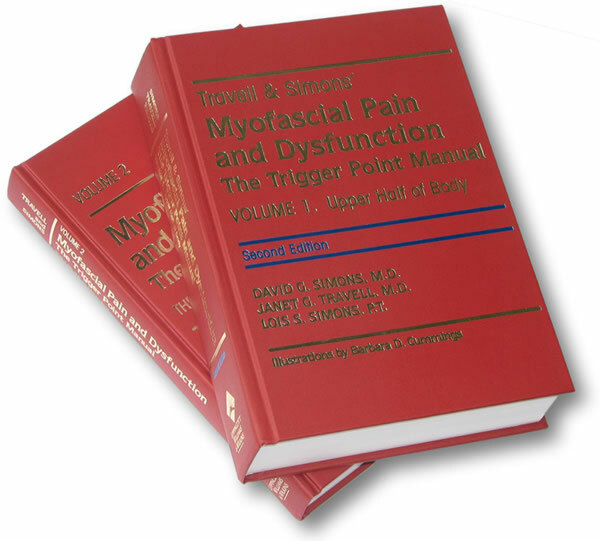 Trigger points help define myofascial pain syndromes. Tender points, by comparison, are associated with pain at the site of palpation only, are not associated with referred pain, and occur in the insertion zone of muscles, not in taut bands in the muscle belly.8 Patients with fibromyalgia have tender points by definition. 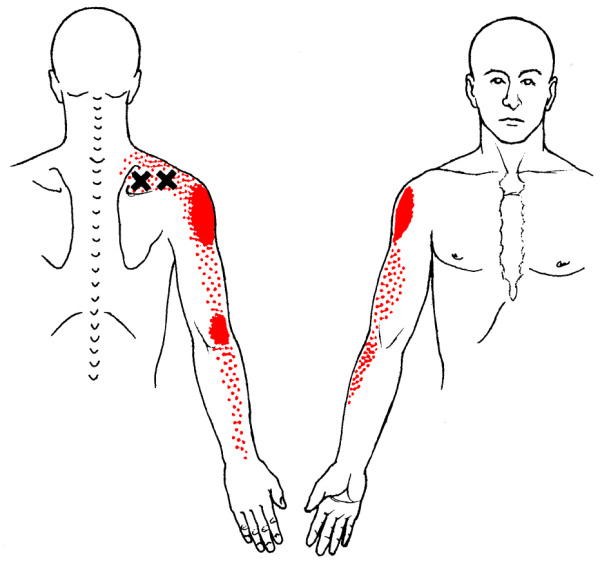 Concomitantly, patients may also have trigger points with myofascial pain syndrome. Thus, these two pain syndromes may overlap in symptoms and be difficult to differentiate without a thorough examination by a skilled physician. 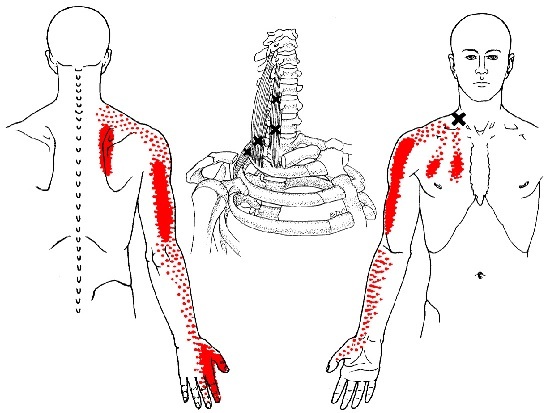 Myofascial trigger points, also known as trigger points, are described as hyperirritable spots in the skeletal muscle. They are associated with palpable nodules in taut bands of muscle fibers. 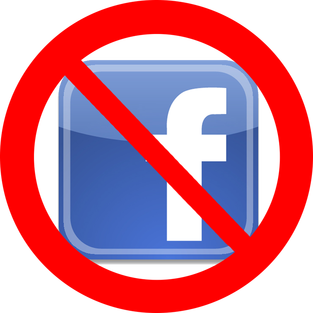 [ They are a topic of ongoing controversy, as there is limited data to inform a scientific understanding of the phenomenon. Accordingly, a formal acceptance of myofascial “knots” as an identifiable source of pain is more common among bodyworkers, physical therapists, chiropractors, and osteopathic practitioners. Nonetheless, the concept of trigger points provides a framework which may be used to help address certain musculoskeletal pain. 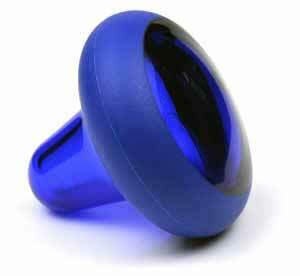 Among physicians, various specialists might use trigger point therapy. These include physiatrists (physicians specializing in physical medicine and rehabilitation), family medicine, and orthopedics. 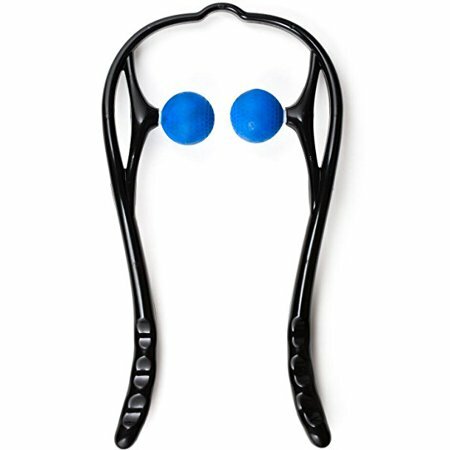 Osteopathic as well as chiropractic schools also include trigger points in their training. [ Other health professionals, such as athletic trainers, occupational therapists, physiotherapists, acupuncturists, massage therapists and structural integrators are also aware of these ideas and many of them make use of trigger points in their clinical work as well. 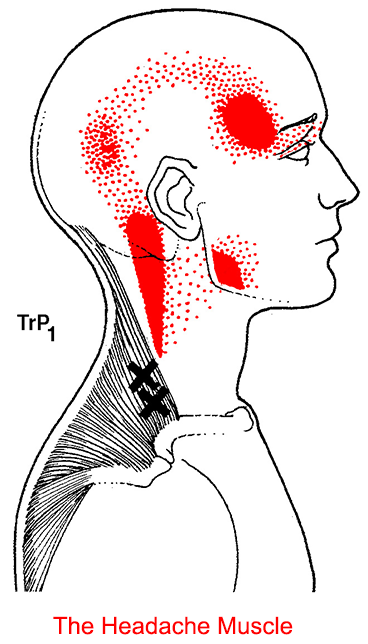 Activation of trigger points may be caused by a number of factors, including acute or chronic muscle overload, activation by other trigger points (key/satellite, primary/secondary), disease, psychological distress (via systemic inflammation), homeostatic imbalances, direct trauma to the region, collision trauma (such as a car crash which stresses many muscles and causes instant trigger points) radiculopathy, infections and health issues such as smoking. 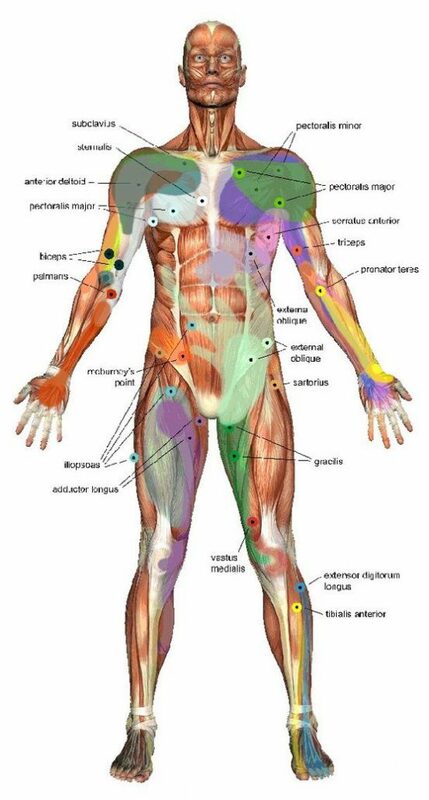 Trigger points form only in muscles. They form as a local contraction in a small number of muscle fibers in a larger muscle or muscle bundle. 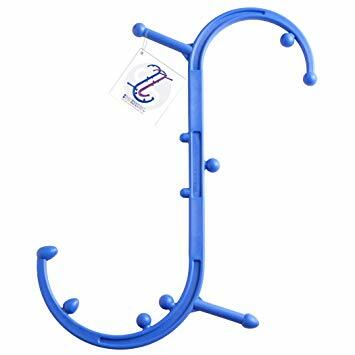 These in turn can pull on tendons and ligaments associated with the muscle and can cause pain deep within a joint where there are no muscles. The integrated hypothesis theory states that trigger points form from excessive release of acetylcholine which produces sustained depolarization of muscle fibers. Indeed, the trigger point has an abnormal biochemical composition with elevated concentrations of acetylcholine, noradrenaline and serotonin and a lower pH. These sustained contractions of muscle sarcomeres compresses local blood supply restricting the energy needs of the local region. This crisis of energy produces sensitizing substances that interact with some nociceptive (pain) nerves traversing in the local region which in turn can produce localized pain within the muscle at the neuromuscular junction (Travell and Simons 1999). 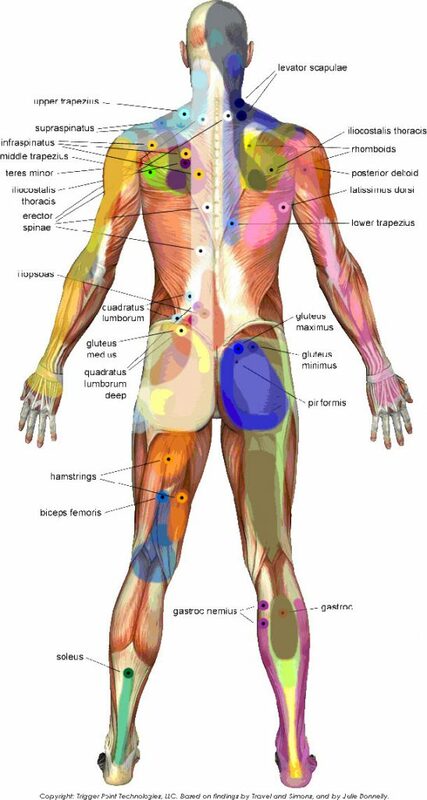 When trigger points are present in muscles there is often pain and weakness in the associated structures. These pain patterns in muscles follow specific nerve pathways and have been readily mapped to allow for identification of the causative pain factor. Many trigger points have pain patterns that overlap, and some create reciprocal cyclic relationships that need to be treated extensively to remove them. A 2008 review in Archives of Physical Medicine and Rehabilitation of two recent studies concludes they present findings that can reduce some of the controversy surrounding the cause and identification of myofascial trigger points (MTPs). [ The study by Chen on the use of magnetic resonance elastography (MRE) imaging of the taut band of an MTP in an upper trapezius muscle may present a convincing demonstration of the cause of MTP symptoms. MRE is a modification of existing magnetic resonance imaging equipment to image stress produced by adjacent tissues with different degrees of tension. This report presents an MRE image of the taut band that shows the V-shaped signature of the increased tension compared with surrounding tissues. Results were all consistent with the concept that taut bands are detectable and quantifiable with MRE imaging. 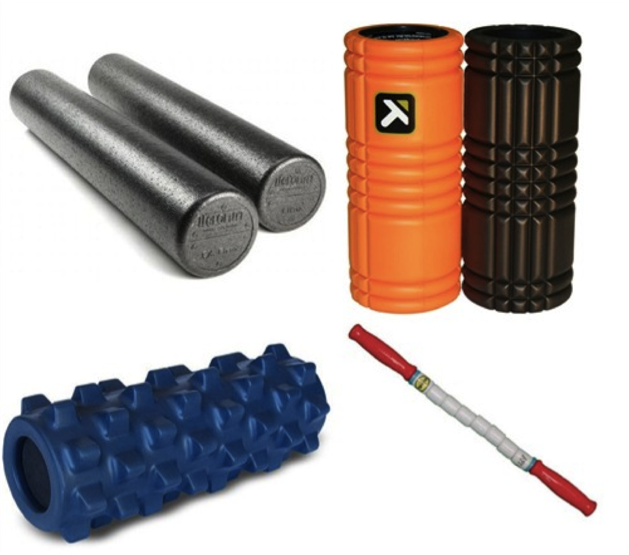 The findings in the subjects suggest that the stiffness of the taut bands in patients with myofascial pain may be 50% greater than that of the surrounding muscle tissue. The findings suggest that MRE can quantitate asymmetries in muscle tone that could previously only be identified subjectively by examination. Therapists may use myotherapy (deep pressure as in Bonnie Prudden‘s approach, massage or tapotement as in Dr. Griner’s approach), mechanical vibration, pulsed ultrasound, electrostimulation,[ ischemic compression, trigger-point-injection (see below), dry-needling, “spray-and-stretch” using a cooling spray (vapocoolant), low-level laser therapy and stretching techniques that invoke reciprocal inhibition within the musculoskeletal system. 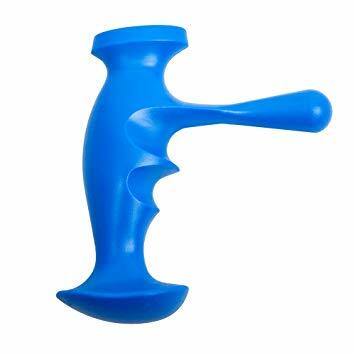 Practitioners may use elbows, feet or various tools to direct pressure directly upon the trigger point, to avoid overuse of their hands. A successful treatment protocol relies on identifying trigger points, resolving them and, if all trigger points have been deactivated, elongating the structures affected along their natural range of motion and length. In the case of muscles, which is where most treatment occurs, this involves stretching the muscle using combinations of passive, active, active isolated (AIS), muscle energy techniques (MET), and proprioceptive neuromuscular facilitation (PNF) stretching to be effective. 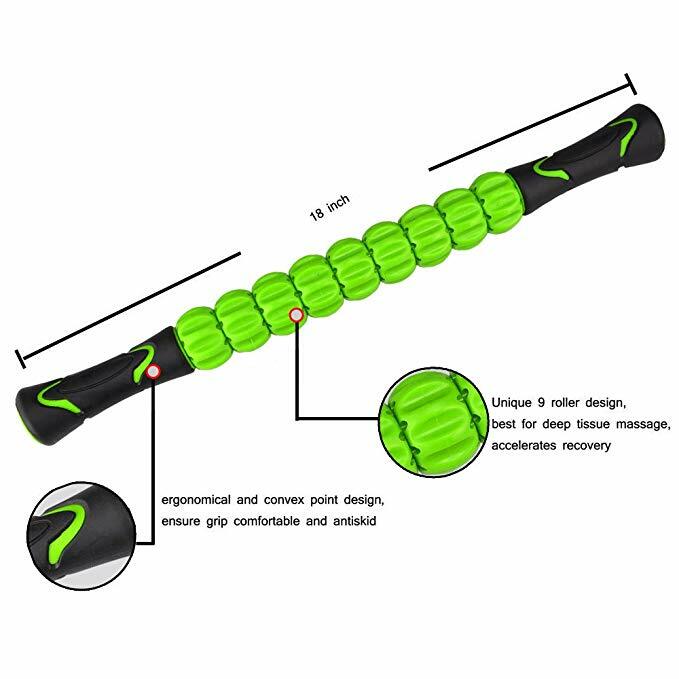 Fascia surrounding muscles should also be treated to elongate and resolve strain patterns, otherwise muscles will simply be returned to positions where trigger points are likely to re-develop. The results of manual therapy are related to the skill level of the therapist. If trigger points are pressed too short a time, they may activate or remain active; if pressed too long or hard, they may be irritated or the muscle may be bruised, resulting in pain in the area treated. This bruising may last for a 1–3 days after treatment, and may feel like, but is not similar to, delayed onset muscle soreness (DOMS)[c, the pain felt days after overexerting muscles. 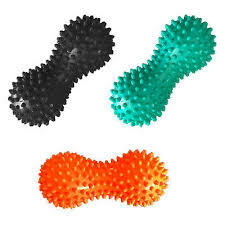 Pain is also common after a massage if the practitioner uses pressure on unnoticed latent or active trigger points, or is not skilled in myofascial trigger point therapy. 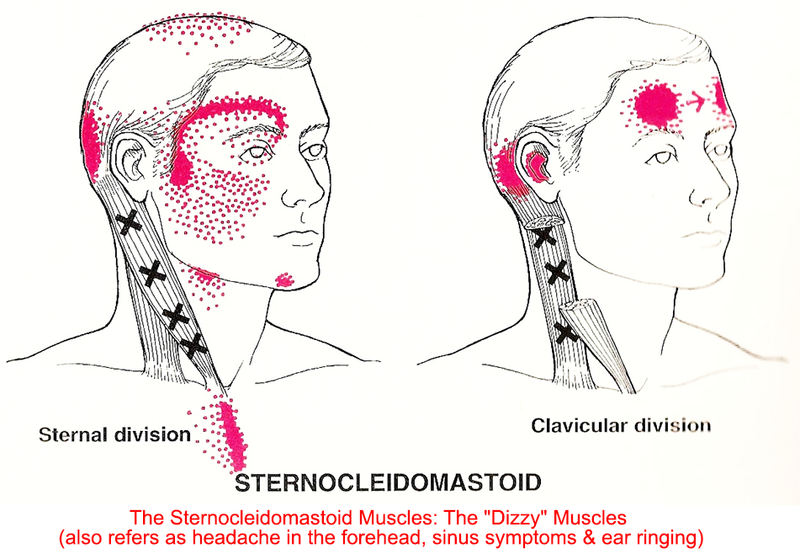 Injections without anesthetics, or dry needling, and injections including saline, local anesthetics such as procaine hydrochloride (Novocain) or articaine without vasoconstrictors like epinephrine,[ steroids, and botulinum toxin provide more immediate relief and can be effective when other methods fail. In regards to injections with anesthetics, a low concentration, short acting local anesthetic such as procaine 0.5% without steroids or epinephrine is recommended. High concentrations or long acting local anesthetics as well as epinephrine can cause muscle necrosis, while use of steroids can cause tissue damage. Despite the concerns about long acting agents,[ a mixture of lidocaine and marcaine is often used. A mixture of 1 part 2% lidocaine with 3 parts 0.5% bupivacaine (trade name:Marcaine) provides 0.5% lidocaine and 0.375% bupivacaine. This has the advantages of immediate anesthesia with lidocaine during injection to minimize injection pain while providing a longer duration of action with a lowered concentration of bupivacaine. Treatment, whether by self or by a professional, has some inherent dangers. 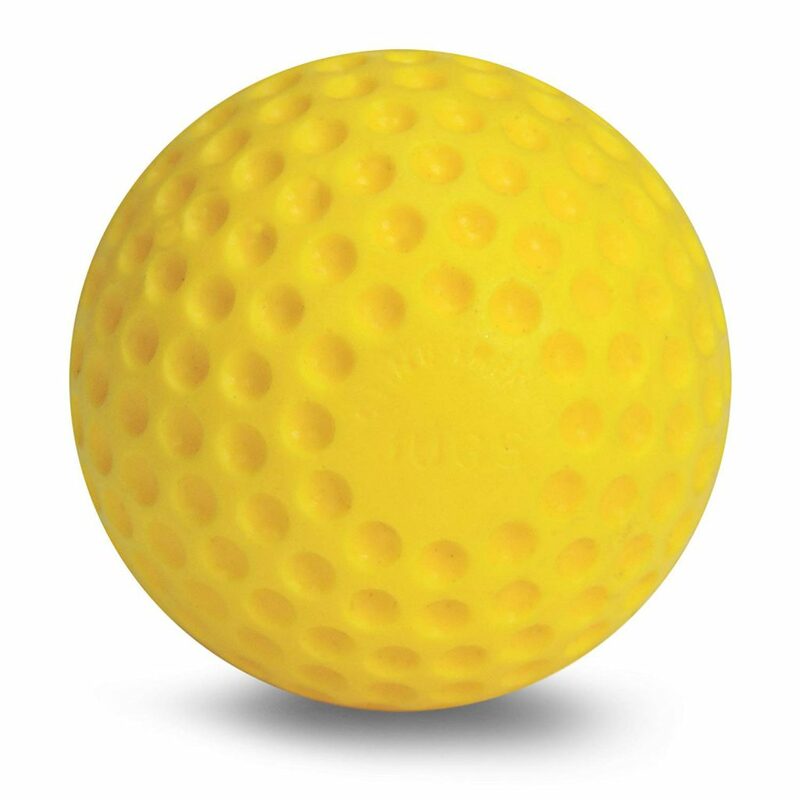 It may lead to damage of soft tissue and other organs. The trigger points in the upper quadratus lumborum, for instance, are very close to the kidneys and poorly administered treatment (particularly injections) may lead to kidney damage. 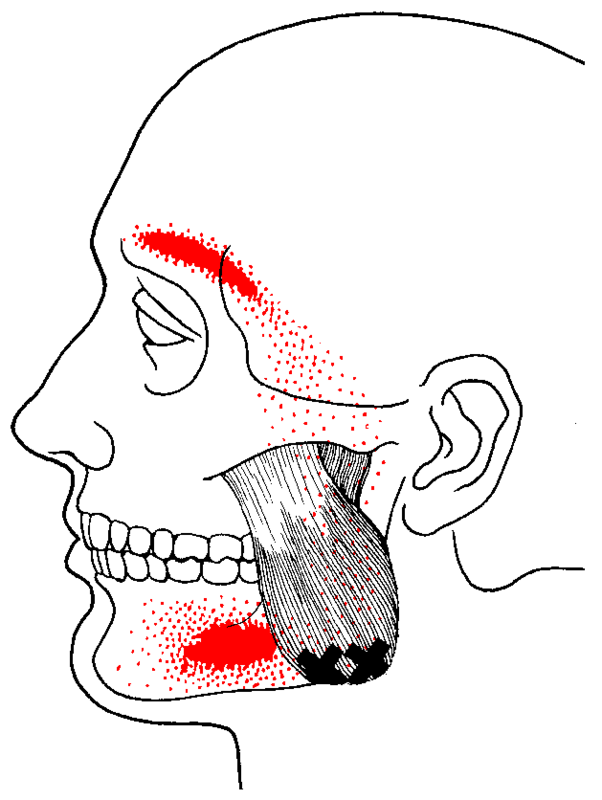 Likewise, treating the masseter muscle may damage the salivary glands superficial to this muscle. Furthermore, some experts believe trigger points may develop as a protective measure against unstable. 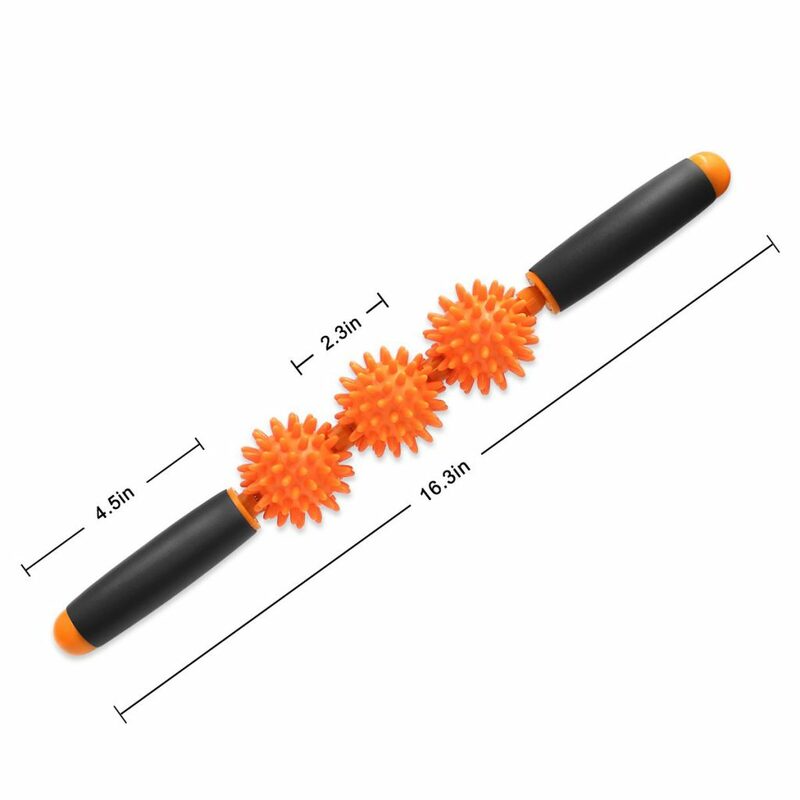 Myofascial Trigger Point Therapy – What Is It? 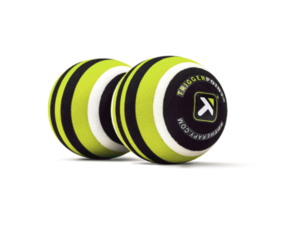 The word myofascial means muscle tissue (myo) and the connective tissue in and around it (fascia). 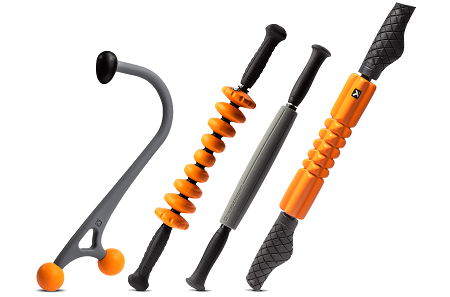 Myofascial pain often results from muscle injury or repetitive strain. When stressed or injured, muscles often form trigger points, like contracted knots, that cause pain and tightness. [mī·ōfa′shē·əl]“pertaining to a muscle and its sheath of connective tissue, or fascia.” Mosby’s Medical Dictionary, 8th edition. © 2009, Elsevier. 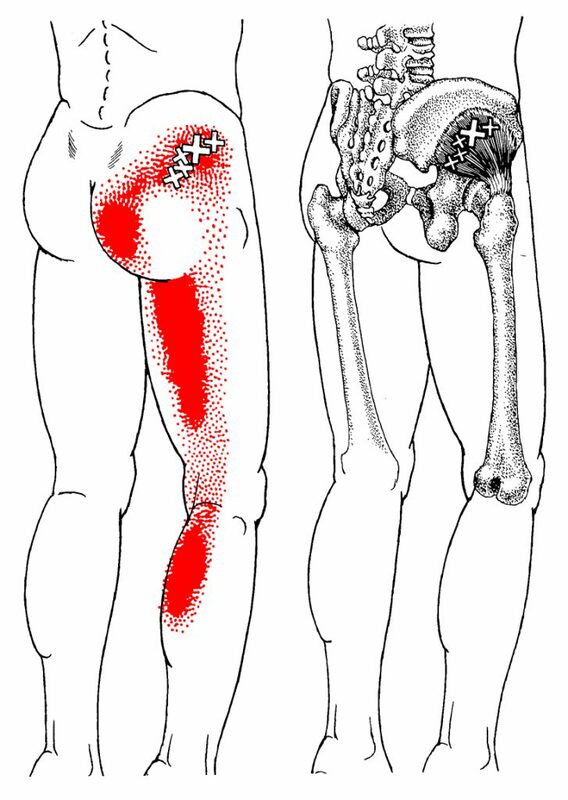 Myofascial trigger points are an extremely common cause of pain. Trigger points are painful when pressed on, cause a shortening of the muscle fibers, and have a special property called referred pain. Referred pain means that a trigger point in one muscle can create pain in another area. For instance, when the muscle at the top of your shoulder (trapezius) has a trigger point it will refer pain up the side of your neck and head causing a headache. 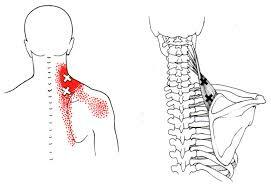 Active myofascial trigger points in the muscles of the shoulder neck and face are a common source of headaches. 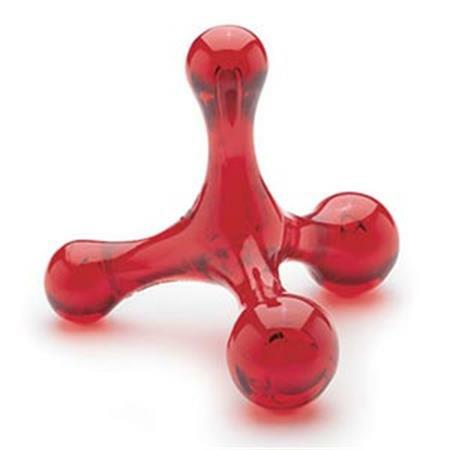 In many instances, the headache has the features of so-called tension headache, but there is increasing acceptance that myofascial trigger points may initiate classical migraine headaches or be part of a mixed tension/migraine headache complex. Factors commonly cited as predisposing to trigger point formation include but are not limited to: de-conditioning, poor posture, repetitive mechanical stress, mechanical imbalance (e.g. leg length inequality), joint disorders, non-restorative sleep and vitamin deficiencies. A diagnosis of Myofascial Pain Syndrome or Chronic Myofascial Pain means that the primary source of your symptoms are from these myofascial trigger points. Often, trigger points are present secondary to other sources of pain, such as arthritis or bulging discs. 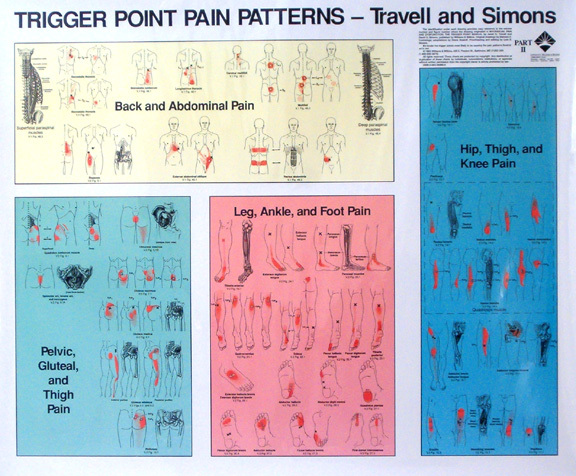 The trigger points may actually be causing the painful symptoms attributed to with these conditions. As such, they are often called “the great mimickers”. Muscles have been an under-treated cause of pain. In fact, with a specialized area of medicine for almost every area of the body (heart, eyes, lungs, intestines, kidneys, etc), oddly, there is no muscle specialty in medicine. Myofascial pain from trigger points is often over-looked as a possible source of pain by those seeking relief. Unfortunately, common though the condition may be, the diagnoses and treatment of Myofascial Pain has yet to be included in most medical training. The majority of patients seeking relief from pain are still treated with the traditional approach of anti-inflammatory medications, muscle relaxants, anti depressant medications and/or strengthening programs. 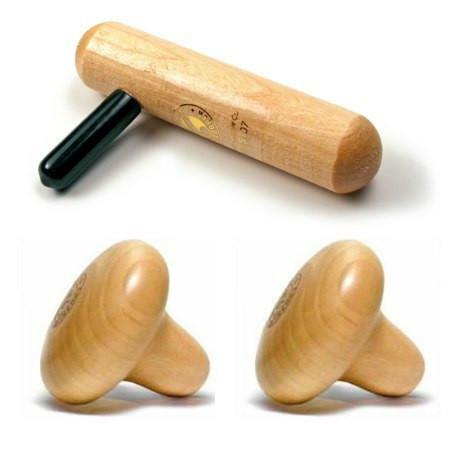 These prove ineffective, if not detrimental, as trigger points do not respond to them and may be aggravated by further straining (strengthening exercises). 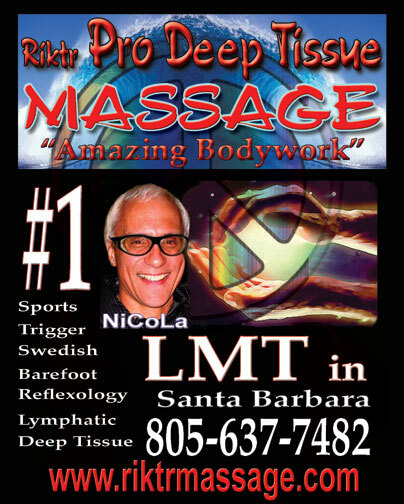 Currently there is no evidence that any form of drug treatment eliminates myofascial trigger points. 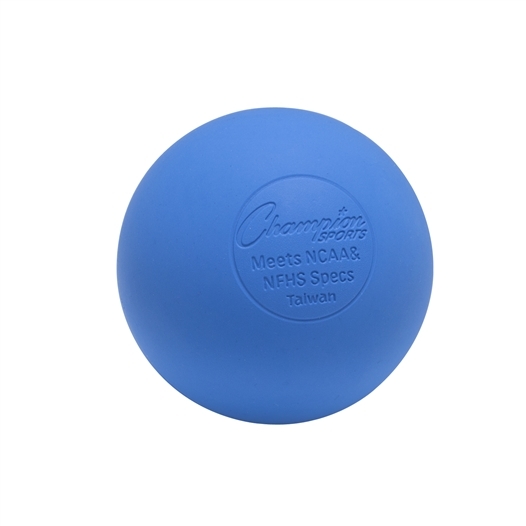 NSAIDs and other analgesics usually provide moderate but very temporary symptomatic relief.It is encouraging that myofascial trigger points are becoming more commonly considered when physicians diagnose their patients. Some primary care physicians, regularly administer trigger point injections. 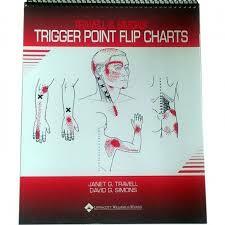 Some recognize the presence of trigger points and refer to Myofascial Trigger Point Therapists. Those that do, enjoy an enhanced success rate and grateful patients. 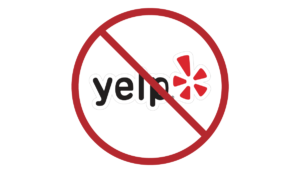 Patients evaluated in one pain management center were found to have a myofascial component to their pain in 95% of cases (Gerwin RD. A study of 96 subjects examined for both fibromyalgia and myofascial pain. J Musculoskeletal Pain 1995; 3 (suppl. 1):121-5.). 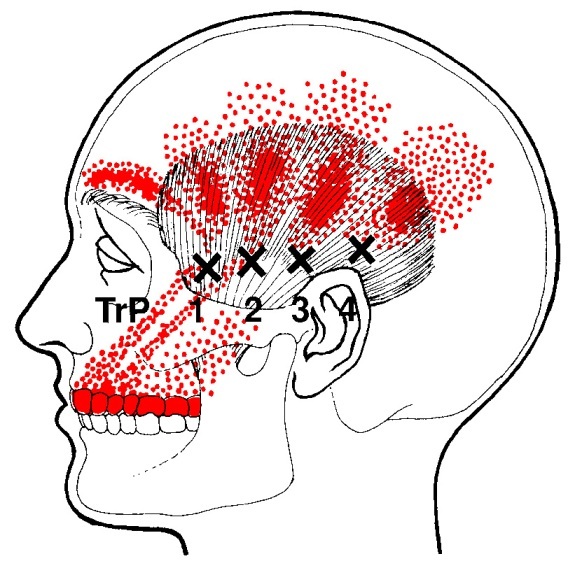 There is increasing awareness that active myofascial trigger points often play a role in the symptoms of patients with tension headaches (Fernandez-de-Las-Penas C, onso-Blanco C, Cuadrado ML, Gerwin RD, Pareja JA. Myofascial trigger points and their relationship to headache clinical parameters in chronic tension-type headache. Headache 2006; 46(8):1264-72. ), low back pain, neck pain (Fernandez-de-Las-Penas C, onso-Blanco C, Miangolarra JC. Myofascial trigger points in subjects presenting with mechanical neck pain: A blinded, controlled study. 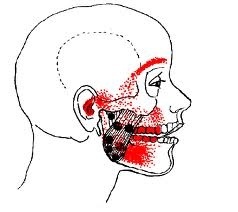 Man Ther 2006; ), temporomandibular pain, forearm and hand pain, postural pain (Treaster D, Marras WS, Burr D, Sheedy JE, Hart D. Myofascial trigger point development from visual and postural stressors during computer work. J Electromyogr Kinesiol 2005;), pelvic/urogenital pain syndromes. Repetitive overuse injuries (using the same body parts in the same way hundreds of times on a daily basis) from activities such as typing/mousing, handheld electronics, gardening, home improvement projects, work environments, etc. Sustained loading as with heavy lifting, carrying babies, briefcases, boxes, wearing body armor or lifting bedridden patients. 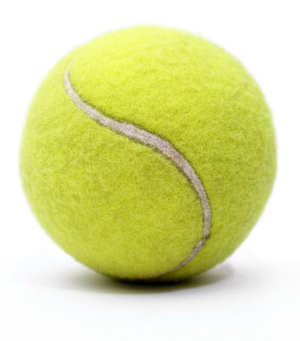 Direct injury such as a blow, strain, break, twist or tear. 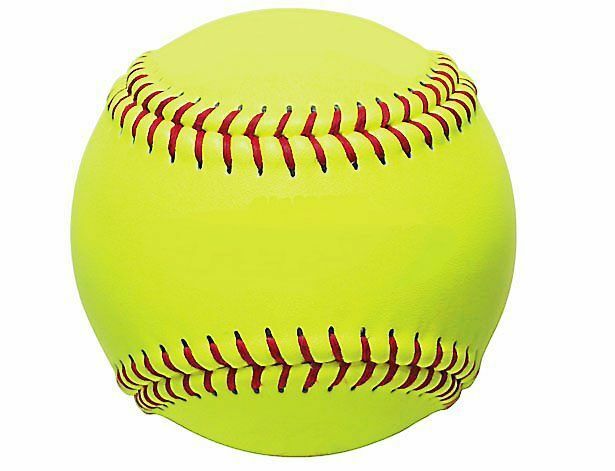 Think car accidents, sports injuries, falling down stairs and the like. 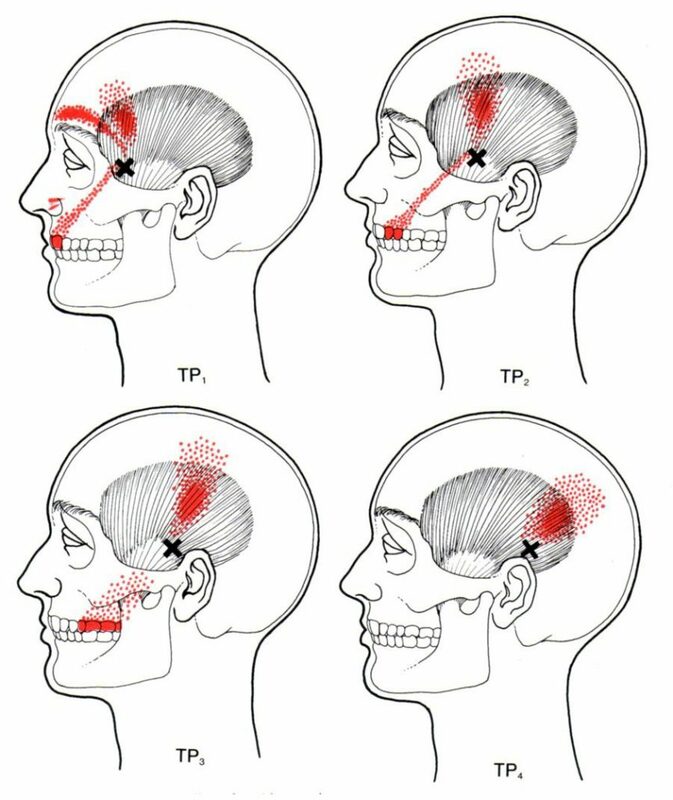 Many researchers agree that acute trauma or repetitive microtrauma may lead to the development of a trigger point. Lack of exercise, prolonged poor posture, vitamin deficiencies, sleep disturbances joint problems may all predispose to the development of micro-trauma. After forming, trigger points have two phases, active and latent. The active, painful phase of the trigger point is the one which produces the unrelenting, debilitating pain symptoms and which motivates people to seek relief. 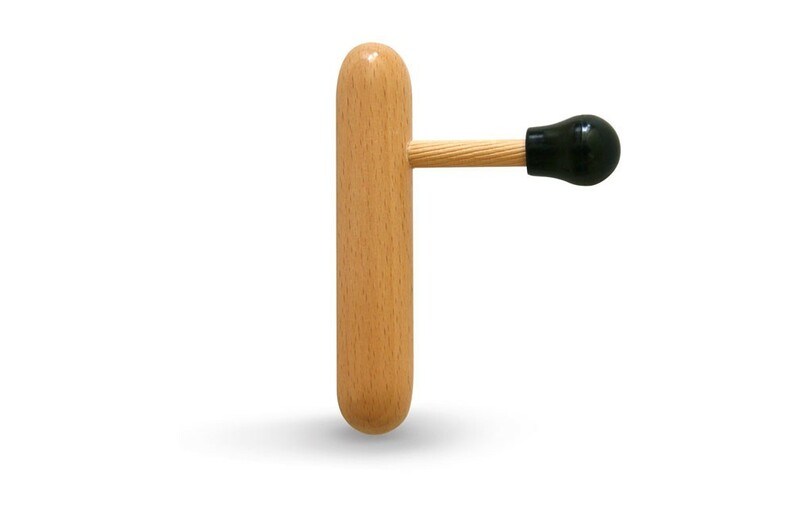 The active trigger point hurts when pressed with a finger and causes pain around it and in other areas. It causes the muscle in which it’s located to be weak and due to the taut bands, to have limited flexibility. The active trigger point referral symptom may feel like a dull ache, deep, pressing pain, burning, or a sensation of numbness and fatigue. It can also cause sweating, tearing of eyes, goosebumps and dizziness. The affected dense, shortened muscles, laden with taut bands may even compress and entrap nerves, leading to another secondary set of symptoms. If unaddressed or ineffectively treated, eventually, other muscles around the dysfunctional one may be required to “take up the slack”, becoming stressed and developing secondary trigger points. It is not unusual for chronic pain patients to have multiple, overlapping referred pain patterns, making diagnosis and treatment more complex. It is easy to see why this widespread pain is often mistaken for Fibromyalgia – a related but separate diagnosis. They generally do not cause pain unless compressed. Many things can cause a trigger point to become active. An old injury that periodically re-surfaces (that “trick knee” or low back “going out”) may very likely be due to latent trigger points “waking up” and becoming active when aggravated by muscle overload, a cold draft, fatigue, infection, illness, or stress. You cannot strengthen a muscle that has a trigger point, because the muscle is already physiologically contracted. 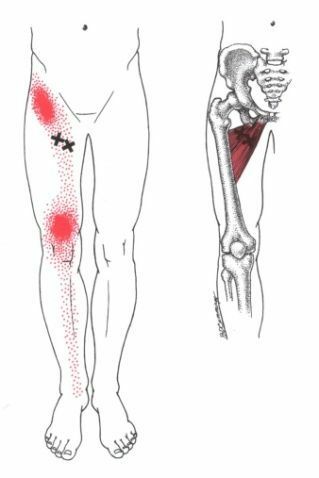 Too many physical therapists see a weakened muscle and immediately attempt to strengthen it without testing for the presence of trigger points. 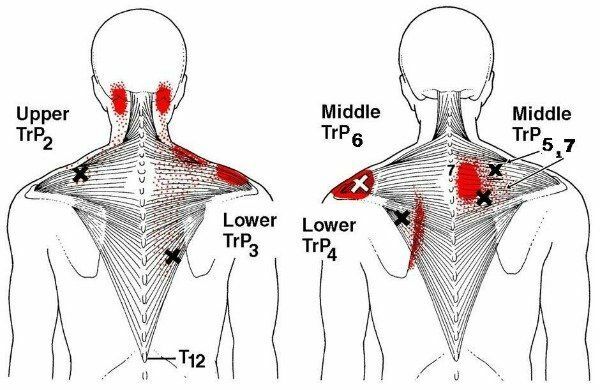 Attempts at strengthening a muscle with trigger points will only cause the trigger points to worsen. Since a trigger point is the contraction mechanism of the muscle locked into a shortened position, the treatment of the trigger point involves unlocking that contraction mechanism (sarcomere). This can be achieved in several ways. 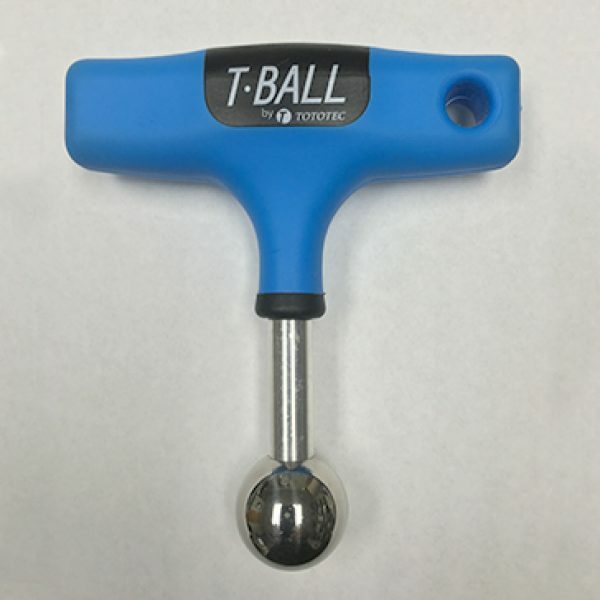 Trigger Point Pressure Release (David Simons, MD and Janet Travell, MD) involves applying pressure with a finger or other instrument to the trigger point and increasing the pressure as the trigger point “releases” and softens. 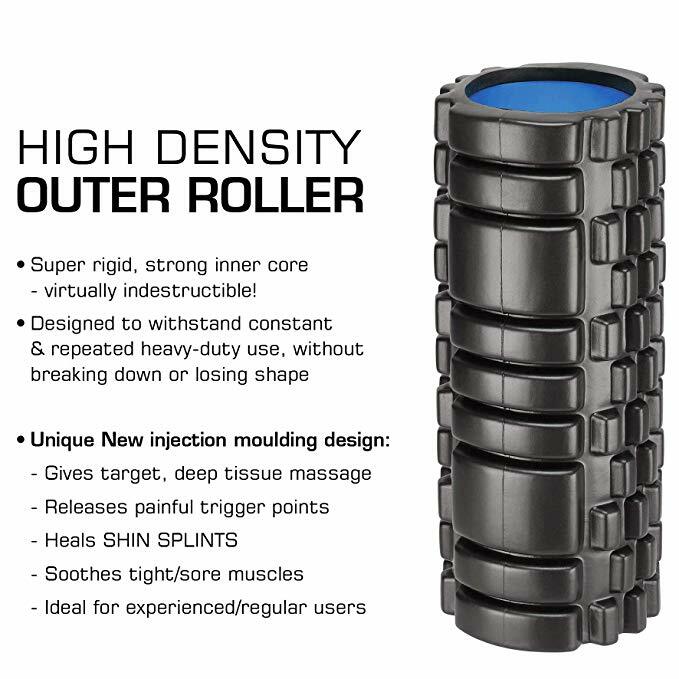 There are a number of variations on this technique and a skilled practitioner will choose which is right for each patient and muscle treated. Other techniques often used include Spray and Stretchwhich is a technique that uses a vapo-coolant spray (very cold because it evaporates the second it touches your skin) to distract the muscle into allowing a more complete stretch thereby helping to release the trigger point. 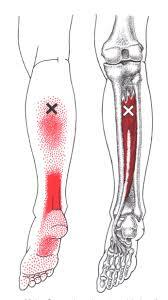 Once trigger points are released the muscle needs to be moved throughout its full range. 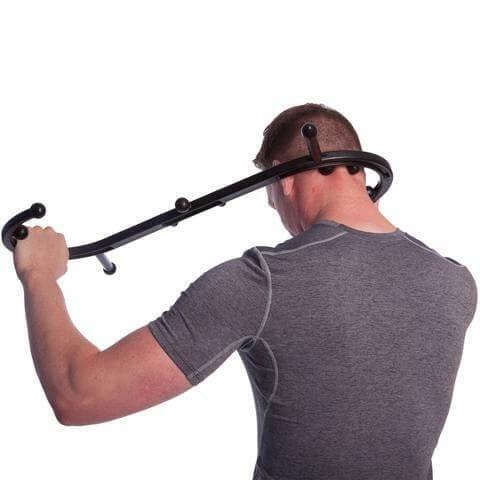 Simple limbering movements done by the patient at home are important in the retraining of the muscle. Many patients experience relief from pain during the first treatment. For others several treatments are needed before their pain starts to diminish. 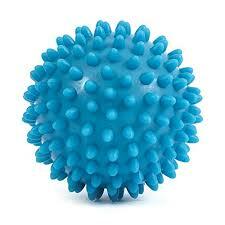 It is common for patients to experience some soreness for one to two days after treatment. This usually resolves after the first few treatments. 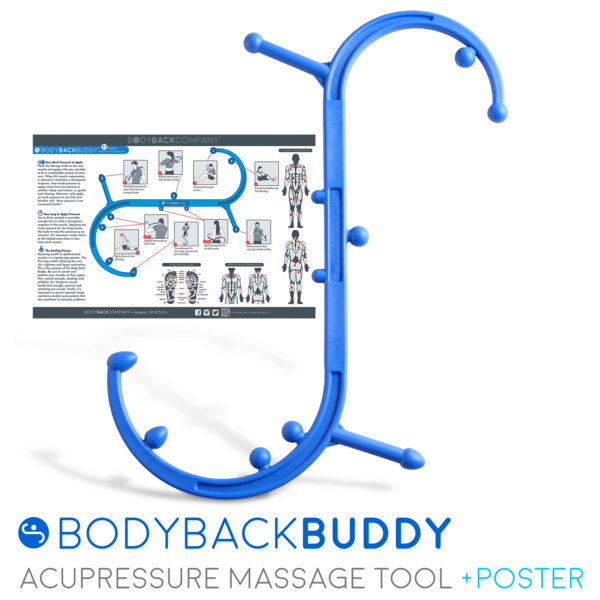 You may experience fatigue as the chronically held musculature is allowed to relax and return to a normal tone, however some patients experience an increase in energy. As the work-load of the musculature shifts and returns to abnormal balance, pain patterns may change. This is a temporary and normal stage of recovery from chronic pain. It is not uncommon for people to experience relief from symptoms they were not seeking treatment for, such as chronic hand and forearm pain clearing up after being treated for a stiff neck. Returning to normal activities without pain is most often accelerated by adherence to the self-care program given to you by your therapist. Minimizing stress, pacing your activities and avoidance of overexertion (as well as focusing on what you can do instead of your limitations) are of prime importance. Good communication, patience and a positive attitude are essential. Make nutritional recommendations based on lab results from your physician ordered blood work or refer you to a qualified health care profesional to assist you with this. Make suggestions how to choose an appropriate exercise/movement program and help you to encorporate it into your life. Help you to learn some self-treatment, self management and self care to assist you to treat your condition and your trigger points. The degree that self care will help can depend on many factors including how complex the condition is, if perpetuating factors can be eliminated, your dedication to the self care/making changes and many others.